Owning your own business can lead to the lifestyle of your dreams, but only if you’re very intentional about it. Only you can decide what that dream looks like, and only you can implement it. That’s exactly what Sean D’Souza has done for himself. Instead of constantly trying to grow ever-higher revenue from his courses and membership program, Sean makes enough money to live the life he wants. That includes taking three months of vacation every year. Sean says he looks at a year as nine months of work, in three month sprints. After each sprint, he and his wife take a month off to travel. Unemployable is brought to you by the all new FreshBooks, easy accounting software for freelancers and small businesses. Listeners of the show get an unrestricted 30-day free trial — simply click here and then enter Unemployable in the “How Did You Hear About Us” section. Listen in to hear Sean’s tips for shifting your business in a way that serves your desired lifestyle. Too often we get caught up in things we think we “should” do, and let our actual dreams slip away. All that and more on this week’s Unemployable. If you enjoy the episode, please leave a rating/review of at iTunes. You can quickly hop over there by following this link. Sean D’Souza: Hi, I’m Sean D’Souza. I do pretty much any project I like, and that’s probably why I’m unemployable. Voiceover: Welcome to Unemployable, the show for people who can get a job, they’re just not inclined to take one, and that’s putting it gently. In addition to this podcast, thousands of freelancers and entrepreneurs get actionable advice and other valuable resources from the weekly Unemployable email newsletter. Join us by registering for our free Profit Pillars course or choose to sign up for the newsletter only at no charge. Simply head over to Unemployable.com and take your business and lifestyle to the next level. That’s Unemployable.com. Owning your own business can lead to the lifestyle of your dreams, but only if you’re very intentional about it. Only you can decide what that dream looks like. More importantly, only you can implement it. That’s exactly what Sean D’Souza has done for himself. Instead of constantly trying to grow ever-higher revenue from his courses and membership program, Sean makes enough money to live the life he wants. That includes taking three months of vacation every year. Sean says he looks at a year as nine months of work in three-month sprints. After each sprint, he and his wife take a month off to travel. 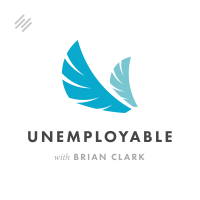 I’m Brian Clark, and this is Unemployable, the show that provides smart tips for freelancers and entrepreneurs to achieve the business and lifestyle they want. Listen in to hear Sean’s tips for shifting your business in a way that serves your desired lifestyle. Too often we get caught up in things we think we should do and let our actual dreams slip away. This episode of Unemployable is brought to you by the all-new FreshBooks — easy accounting software for freelancers and small businesses. Sign up for an unrestricted, 30-day free trial exclusively for listeners of the show by heading over to FreshBooks.com/Unemployable, and make sure to enter “Unemployable” in the “How Did You Hear About Us?” section. Okay, on with the show. Let’s talk to Sean. Sean, my friend, how are you? Sean D’Souza: I’m good, thank you. Brian Clark: You are currently back in New Zealand I take it, from your Skype status. How’s the weather? Sean D’Souza: It’s good today. It’s been raining a lot. It bucketed down, as we say here. We got a month’s worth of rain in a day. Brian Clark: Oh, wow. Is this the beginning of the rainy season for you guys? Sean D’Souza: Not particularly. It gets to winter when it starts raining. It’s just a lot of change. We’re seeing a lot of extreme weather in terms of rain. New Zealand gets rain. We don’t get so much sun as we get rain. Auckland has 176 days of rain. We beat the UK. Brian Clark: I didn’t realize that. I thought it was more like Australia, but I guess not. Sean D’Souza: No. People clump Australia and New Zealand together, but it’s a three-hour flight from New Zealand to Australia. It’s a three-hour flight to anywhere from New Zealand. Brian Clark: Got it. Got it. Sean D’Souza: Yeah, at least. At least three hours to anywhere. Otherwise you land in the ocean. Brian Clark: I know you’ve got some adventures planned, you always do. But we’ll talk about those in a bit. First, let’s share with people who you are and how you got here, your journey as an entrepreneur over the years, which has been quite a while. When did you first start publishing online? Let’s start there. Sean D’Souza: I started publishing marketing online around 2000. I had a ridiculous site called Million Bucks. It was a .co.nz, and it was about marketing. I had moved from cartooning. I had websites online in maybe ’97, ’98. Those were just portfolio sites. Then the first marketing site was in the year 2000. And then in 2002, after everyone told us what a ridiculous name it was, we moved to Psychotactics. They didn’t say anything for two years. I found out quite by mistake. Brian Clark: Let’s go back to the cartooning though, because you still include that as part of what you do. Maybe that’ll help people understand the genesis of all this, starting with the cartoons. Did you work in another field while you were doing the cartooning? Sean D’Souza: Yes. When I was in university, I started drawing cartoons. What I would do was what you could call extreme persistence. I decided that I wanted to earn my own money. I wanted to pay for my own university fees. I wanted to buy my own motorcycle. As a result, what I did was I started going to newspapers and meeting with the editors of newspapers. You have different sections and subsections. People may not know this, but there are features editors, and there are sub-editors. That’s what I would do. I would just do the rounds of all the newspapers, all the magazines, and at some point they just gave up and they started giving me cartoons. When I published in one newspaper, then I could show it to the other newspaper, so the credibility built. My experience built. I decided that I’m going to start up and continue in the world of cartooning. Brian Clark: Yeah, and what was the idea behind publishing the cartoons online? This reminds me of Hugh MacLeod and how he got started with his cartoons in his spare time, which became, like you, part of what he does in marketing and business. It’s interesting that I know two cartoonists that have leveraged that into something bigger, which is fascinating to me. You do follow your passion, and yet you do it in a very pragmatic way. Sean D’Souza: Hugh has followed a completely different path. But I decided that I was going to draw cartoons. If we were to fast-forward a bit, I then joined an advertising agency. I joined several advertising agencies. I got good at copywriting — well, I thought I got good. Again, it’s a matter of perspective. Then, when I came to New Zealand … I started up in cartooning, so I moved from India to New Zealand and I continued what I already knew really well. At some point, I got sick of going on vacation and then coming back and the client saying, “While you were away, we gave the job to someone else.” I would go on vacation — I like going on breaks, and we’ll talk about that — and it drove me crazy that I was always missing out on the job. So I went to the library. I guess I was doing some kind of marketing right through the years that I was a cartoonist, but I don’t call it marketing. I went to the library and I got a stack of 30 books. In fact, I got a stack of seven books, but I kept going back so often that the librarian says, “Do you know that you could take 30 books at a time?” So I came back with 30 books, and I started studying marketing. As soon as I started studying marketing, I started writing about marketing. Then I realized, “Wait a second. I can draw cartoons, so let’s put the cartoons here.” But I wanted to break away from cartooning, so I literally stopped cartooning. I wouldn’t take any assignments. I don’t know what happened. One day I decided, “I’m going to stop cartooning. I’m going to do marketing.” Before that, newspapers would call in, magazines would call in, accounts would call in, because they all knew I was a cartoonist. I didn’t announce this to anybody, and it just stopped. I had no choice. I had to go out there and do marketing, because without telling anyone it just stopped. Then I had to go out and have other options. Brian Clark: Even though you worked for an advertising agency, you really consider yourself self-taught, and that led to Psychotactics. Correct? Brian Clark: Talk a little bit about the site for people who may not be familiar. Sean D’Souza: Psychotactics started out with me leveraging what I knew best, and what I knew best as a cartoonist was I could get repeated work over and over again. That’s what I did. It was about how to get your customers coming back. That’s why I started the site. It was all about getting customers to come back. It was a portfolio site. Most people don’t realize this, but back in 2000, everything was portfolio. You just put stuff up there. If you were a cartoonist, you put up cartoons, just like you see on many websites with graphic designers to this day. They put up their portfolio. They don’t really write a blog or do anything like that. That’s what I did. It got some business, but it was just there as a brochure online. It was only in the year 2000 when I started with the Million Bucks site, that I ran into a guy called Alan Weiss. Now, Allen Weiss runs MarketingProfs. MarketingProfs was probably one of the biggest portals back then, and probably is pretty big now as well. Brian Clark: Yeah, our friend Ann Handley is still chief content officer over there. Just saw Ann in San Diego. Sean D’Souza: Yeah. This is way before Ann Handley. Ann Handley was handling, or was going to handle ClickZ — which I don’t know whether it still exists — but this is way before. What happened was Alan … He used to put out seven articles a week, and he desperately needed content. It’s completely opposite of today. He desperately needed seven articles, and so somehow he had to get 28 to 35 articles every week. He would write and say, “Sean, do you have an article?” I wasn’t writing articles. I hated writing articles. It used to take me two days. I didn’t know if the article was going to be any good. But there was this email in my box, “Can you send me another article?” That’s how I started writing, out of frustration, in a way, just to be known. There was this byline that Allen wrote. He says, “This is a slightly pompous site,” or something to that effect, “but the content is really good.” From that, we had this site — this is predating Psychotactics — where everything was in six-point. All the text was in six-point. There was no subscribe button. You had to read all the way, right down to the bottom. There it said, “If you liked this content, subscribe here.” It wasn’t even like a hyperlink in blue text. It was just in black, so you had to find “here” to click, and a thousand people subscribed. That’s how we knew that people were interested in our stuff. Sean D’Souza: One day, I was sitting with a friend in a café. His name is Eugene. And Eugene said, “You know, you send out this newsletter. You call it Psychotactics. Why don’t you just call your website Psychotactics?” I take decisions pretty quickly, and that’s what I did. We called it Psychotactics, and it’s been that way. Psychotactics essentially was about why customers hesitate and how to overcome that hesitation. It was built on one of the speeches that I gave. The speech was essentially why customers hesitate. I called it “The Brain Audit.” I showed how people go through stages where they decide, “This is how I’m going to buy a product.” They go through all these stages. That’s what Psychotactics was all about. It was a whole bunch — maybe 10 or 12 articles. It was “The Brain Audit,” and it was About Us and stuff. It wasn’t much. It turned into several hundreds of pages, but it started out with just five or six pages. 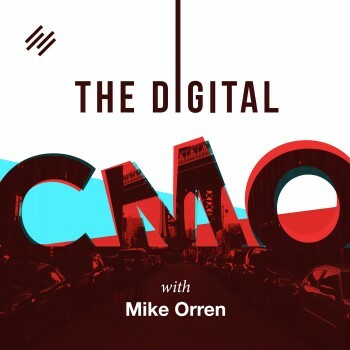 Brian Clark: Seems like back then … Same thing with me, you stumbled onto this thing we now call content marketing, but it was a very different thing. All of us at that time — ’98, ’99, 2000 — were just trying things out. Then, when something worked, you were like, “Well, I’m going to do more of that.” It sounds like a very similar story. Was “The Brain Audit” your first product? Sean D’Souza: Yes, it was the first product, but I never saw it as a product. I just gave it as a … I had an event. I knew how to make money because I come from a background of business people. Five out of seven of my uncles are in business, so it wasn’t like I didn’t know how to do it. But I couldn’t see why anybody would pay money for a PDF. Now it’s like, “PDF, no problem,” but back in 2000, a lot of people didn’t have email. I gave the speech, and someone said, “How about putting together all that information?” I said, “Well, I don’t have any information.” She said, “You just spoke for 45 minutes. I don’t remember anything you said.” So I wrote it down in a 16-page booklet. I made it a PDF. She had an email address and I sent it to her. Then another friend saw it and goes, “Why don’t you sell this? If you’re going to speak at these events …” When I’m saying events, people are thinking, “You’re speaking in front of big events.” No, these were like Rotary Clubs. People were half asleep. People were networking early in the morning, that kind of thing. I was a pretty bad speaker. Not a very willing writer. Not convinced that I was a marketer. I was more of a cartoonist in my head. There were all of these stages that I had to go through. That’s where “The Brain Audit” came from. I put these 16 pages … One day, we were in — I forget now whether it was Lake Tahoe or Rotorua — there were about 50 people in the room, and I gave “The Brain Audit” speech, which was about 45 minutes. After that, I said, “You know, there’s this book. I’ve got it in PDF. It costs $29.00,” I think it was at that point in time. “If you’d like it, Renuka is here. Just give her your credit card details or check, or whatever.” I think about 70% or 80% of the room bought the book. These guys didn’t even have email addresses, so we had to send them CDs and stuff like that. That was the point when we realized, “Oh, something is interesting here. They’re buying something.” Be aware that at that point you could buy a hardcover book for $20.00, and they were buying a PDF for $29.00. Brian Clark: Yep. It’s interesting to hear this story. I’m not sure I’ve ever heard you tell me this before, that you were a reluctant writer and when you started public speaking you didn’t think you were good. Yet, that is very different now. Not only are you an accomplished writer and a great speaker, but you have a great course on article-writing. I’ve seen your materials on creating better presentations in public speaking. That’s an amazing journey in itself. Did you basically conquer yourself and then teach other people what you had learned along the way? Sean D’Souza: Yeah. There was proof that I was not a good speaker. The first speech I gave, “The Brain Audit,” I forgot what I had to say. We had to take a 10-minute break. It wasn’t just, “Hey, I don’t think I’m a good speaker,” like a lot of people say. No, there was proof. I would forget my speech in the middle of what I had to say and we had to take breaks and do all those kinds of things. The same thing with the writing. It was because Alan kept bugging me that I had to write something every 15 days. Without Alan, nothing would have started. But once that process started, then I realized what I realized as a cartoonist. As a cartoonist, what I used to do was draw cartoon strips. I decided to sell this concept of a cartoon strip to a local newspaper in Mumbai. I sold the concept, but I had approached two different editors and both the editors said yes to the comic strip at the same time, so now I had to create two comic strips at the same time — different comic strips — and it was five days a week. Now I had to create 10 comic strips every single week, and I thought that would kill me, but the opposite happened. I found that if I was to do something every 15 days or 30 days, it was infinitely hard. But if I did something every day, my mind was thinking about it and I was able to do it. The same principle then applied to public speaking. The same principle applied to writing. In public speaking, as I said, I would go to any local event and just show up there. They had what you call a speaker-seeker. You get in touch with a speaker-seeker, and your only job is to make that person look really good. It’s not to make yourself look really good. I’d go to these events. I’d speak in the morning, 7:00 in the morning. Then, next week, another place, and another place — until I got really good at it. With writing, I wrote “The Brain Audit,” and then people said, “Wait a second. We don’t understand this part of it. We don’t understand that part of it. So how about answering it?” I go, “This is a real thing, trying to answer this email. Let’s start up a membership site.” Now, when I say membership site, again, people think of this fancy stuff. But we just had a blog that was behind — you had a password, that’s it. It had a blog inside and you got through pretty much like membership sites are now, but very basic. What I did was I said, “Okay, I’m going to charge you for this membership site,” and I put this price of $7.00 a year. That was the start of our membership site for 5000bc. $7.00 a year and they could ask whatever questions they wanted. Strangely, at that point, I was also looking at other membership sites. There was this guy — I think his name is Bill Meyers. I’m not sure now, but I know his last name is Meyers. He talked about technology back then, and I was a member of his site. He would write five articles a week, just like I was doing with the five cartoons a week. I thought, “Okay, I’m going to start this membership site. I’m going to write five articles a week.” It sounds completely bizarre, but because I started writing five articles a week, I got very good at writing. You just have to keep at it. It was the same thing with the cartoons. It was the same thing with the speaking. If I go to cook a new dish, that’s how I go at it. I just keep going until all the rough edges have come off and I’m very good at it. Brian Clark: Yes. That makes sense. All right, before we hear specifically about how Sean takes three months off a year, let’s talk a little bit about how technology can help you in your own business be more efficient, work less, and have the opportunity to set up the business that you want. If you take clients and you deal with invoices, know it can be a hassle. FreshBooks is here to make it easier and more efficient, in every way. You may have heard that FreshBooks has been redesigned from the ground up and custom-built to match the way you work as a solo or small business. Get ready for the simplest way to be more productive, organized, and most importantly, get paid fast. The all new FreshBooks is easy to use, and it’s packed full of powerful features. You can create and send professional-looking invoices in less than 30 seconds. Set up online payments with just a couple of clicks and get paid up to four days faster, see when your client is seeing the invoice and never be in the dark again about whether or not they’ve seen the bill. FreshBooks is offering a 30-day, unrestricted free trial to my listeners. To claim it, just go to Freshbooks.com/Unemployable and enter “Unemployable” in the “How Did You Hear About Us?” section. Okay, let’s talk with Sean a bit more. On Unemployable, one of our main themes is that freedom is more important than how much money you make or your social status in the entrepreneurial world — whatever that means to anyone. You have taken this concept of lifestyle design within — or because of entrepreneurism — as opposed to, “Build the biggest company. Cash out the largest amount.” All of this stuff. Tell us a little bit about your philosophy, which I guess we would call it the same as your podcast Three Month Vacation. Sean D’Souza: Yes. In late 2002 we started up Psychotactics, and in 2004 I wanted to speak internationally. I’d only spoken in New Zealand, which is now my country, but somehow I thought, “Well, let’s go some other place,” and we went to the States, or we got to the States. I’d spoken in our own event, and 30 people showed up. They all paid $1500, which was really good. After that, we decided we’re going to take three months off and see how it works. The Three Month Vacation was literally the three-month vacation, which is we probably got there in May or so and then we were there in June, July, and August or something. We planned to go to Chicago and New York and then drive from New York to Florida. I don’t know why, but that was the goal. By the time we got to D.C., there was a major … What do you call it? A typhoon. You call it a hurricane. There was a hurricane. Essentially, what we did was we took three months off, and it was miserable. It was too much vacation. Over the years we have chipped at it and tried to figure out how we make this so that it’s downtime. Now we’ve got to the stage where we work for 12 weeks and then we take a month off, and it goes in that cycle. I start to do some course or I start to do some project and I know the project is going to end and then we get a whole month off. The reason for this is now backed by science. The top tennis players in the world do this — as in the decompression, where you get much better at what you do when you take time off rather than just plowing through stuff. I decided there’s no point in just running a business. My goal was to move from my café in Auckland to another café in Italy or another café in wherever. We could go to Rome and never see the Coliseum. We’d just end up in all the cafes. That was the goal. It was just to decompress. It’s worked really well for us, because the way we look at it is not as a three-month vacation but the fact that we have nine months a year. What can we do in nine months a year rather than just keep working as if that 12 months is written in stone? Brian Clark: Sounds smart. It’s interesting, because I’m on your email list, and whether you’re taking a month off or in a three-month sprint, you always have content that comes. Do you do work in advance to cover yourself during a month that you’re off? Do you sit in a café and put out an article and that is a small, tiny amount of work? Or are you completely off that month and completely automated and prepared ahead of time? Sean D’Souza: We tried. We tried to work while we’re away. But if you ever met me or you’ve had some conversation with me, my mind it’s either regressed or it’s at work. What we decided was we were going to prepare everything. Now we’re headed to Sweden in a couple of months in June or July — June somewhere. All the newsletters will be queued — not just for the time that we’re away, but for a month after we get back. That is because we have this whole reentry when we get back after a month. If you’ve been away for a month, there is no way you can feel happy about getting to work the moment you land or get back. What we do is we plan for at least a month’s worth of newsletters. This has gotten more complex with the podcast. The podcast itself is a whole drama thing, because I don’t do interviews. I create all the content myself. The same thing applies for 5000bc. In 5000bc, which is the membership site, we have to get all those newsletters ready. What I took was my cue from comedy. These comedians, from time to time they just go off on a break. They don’t stop the show. They just do re-runs. Now I guess a lot of people have done the same thing, but I never saw this earlier, where we would just take what we’d already done and do a re-run. With the podcast, that’s what we do, we do a re-run. With the newsletters, we do re-runs. We see which ones were the most read, and we run those. With 5000bc, what we do is we run something called Vanishing Reports, and that is to take our best content, put it together in a PDF, put in cartoons, make it something like a product, and then send clients it. Our clients just love the Vanishing Report. We’ve got these three main factors, which is the newsletter, the podcast, and 5000bc, and we just have to take care of that for the time we’re away and a month after. Brian Clark: It seems like you are on the leading edge of what the Millennials coined digital nomadism. Basically, they have the ability to travel. They’re still working. Sometimes they’re playing more than they’re working. They’re always constantly moving along. That seems appealing to me, because I am kind of like you. Let’s put it this way, my brain is working all the time. It was just last fall when I went to Hawaii that I truly was able to turn it off for the first time in five years, and I need to do that more often. I know that now. The idea, like you said, of “I’m in a café in Amsterdam, I’m in a café in Panama,” whatever the case may be, that’s very appealing to me. It’s not that I’m trying necessarily to escape work. Ideally, I think it would be like you work a little bit in the morning and then you go do something adventurous in the afternoon. Do you identify with that term, “digital nomad”? You’re a little more structured, and yet, those three months you get to choose whatever it is you want to do. Brian Clark: Sold them on the dream and they’re holding you to it. That’s awesome. Sean D’Souza: The digital nomad thing is about continuously traveling, in a way. That’s the way I see it. That’s not what we do. We go away, we come back. I love Auckland. I feel this regret every time I’m going to the airport. When I’m in the other country, I’m good, but I feel this regret. I work when I work, and I don’t work when I don’t work, and there’s a very clear demarcation between the two. Brian Clark: It’s more and more possible to structure your life the way you want it — whether you’re a freelancer, a solopreneur, a small organization like ours — but some people seem more inclined to make it happen than others. There’s a lot of mentality of, “Sure, you can do that, but I can’t.” I know children can present a barrier, although I’ve seen people get around that. What are your tips for people if they want to do something similar to your three-month vacation or some other variation of it? How do they get going with it? One of the things we did, which was a bit crazy at the start, was at home we had no Internet. We only had Internet at the office. Every time we had to check email, we had to go to the office, and the office was … It’s only 700 meters away, but we had to physically go to the office. That’s what I would say. Can you do just the weekend? Because your parents did just the weekend. Your grandparents did just the weekend. All of this stuff that people say, “Well, you know, I’m so busy right now.” Your parents were busy. Your grandparents were busy. We’re not more busy. We’re more distracted right now. We feel like we need to be more connected all the time. You start with that. After that, you build from there. We jumped straight into the extreme, which is we took three months off. Then we tapered it down to a factor of three weeks off and one week to travel back and forth. You have to start somewhere. I would say that most people, the reason why they don’t do it is because they don’t start small. Secondly, they see the year as 12 months. I don’t see the year as 12 months. I see the year as nine months. Once I’ve reached nine months, I’m good. The question is: how do I reach nine months? How do I know that I can take nine months and then still make a life of it? The problem is that if you want to constantly double your income or if you constantly want to double your customers, there is no end to work. When I started out with Psychotactics 17 years ago, I thought, “Oh, by 2020 or 2016 or 2015 or whatever going back, I will have less work because all of these articles will be there, all these podcasts will be …” No. The work never ends. It’s every single day of your life, and we enjoy the work. The way I look at it is we have a fixed income. We’ve earned twice as much as we need for the past 10 years. We go, “This is how much we need for the year.” And this includes, by the way, luxury travel. We only travel business class. Say, for instance, I’m going to an event where the fare is only economy, I will pay business class. I’ll get them to pay the difference. I don’t really care. We only travel business class, we only stay in the best hotels. That is our basic, or what we call our budget. Let’s say that’s, I don’t know, $150,000. We’re going to earn twice as much as that. Now we’ve earned more than that, but what I’m saying to people is that if you earn twice as much, you pay a third of it in taxes. Don’t cringe about your taxes. Just pay the taxes. They actually go to stuff like building the Internet and doing stuff like that. A third of it goes into savings or investments, and a third you spend. What we’ve done in the last 15, 16, 17 years is exactly that. We started out with like $2000 a month. That’s how much we were earning. Today we could quit this very moment and we don’t have to work. Just the investments, just the return, just the interest is enough to fund our trips and travel and everything. I don’t know why people go crazy. Brian Clark: I guess the first step here, reading between the lines, is that you have to understand that if you are indispensable to any aspect of your business while you’re gone, then you’re doing it wrong. How did you implement the processes and find the people that you could trust? Again, you said first you checked up on things and everything was fine, but you had to do that. I get that. Have you had trouble finding people that could handle this stuff for you while you’re gone? Sean D’Souza: It depends. See, my situation is just mine alone. The most trouble I could ever have in our business is that someone can’t get in because of a password or they can’t get a download. A different business will have different aspects. I have seen business owners … A friend of mine, he’s been ill for six months. He runs several restaurants. He’s a restaurant owner. He had no choice. He’s not been able to go to the restaurant. He’s been very ill. And all the restaurants are running without him. I came along and I cut a few of them, and then at one point … This gets really gruesome, so if you want to close your ears, that’s fine. She gets her finger stuck in the thing and I lop off the top of her finger. Shortly after that, she couldn’t work for several months. For three months she had her hand in a cast, which was vertical. If you make an L-shape with your hand, that’s how she was for three months. I couldn’t function for at least a month because we were at the hospital. There was reconstructive surgery. There was all that kind of stuff. We looked back at how much money we had lost in that year versus the previous year. For that three-month period, it was $50.00. That was it. Not being in the business for that long, we lost $50.00. Sean, thanks so much for joining us today. I’ve known you for a long time, but I learned some new things about you, so I appreciate that. Tell everyone where to head to find out more about you and Psychotactics. Sean D’Souza: Psychotactics is at Psychotactics.com, but if you want to get over what you’re doing and just get over resistance, there is a little report that I’ve written, which is a lot of fun. It’s called “Resistance,” and it’s Psychotactics.com/Resistance. Brian Clark: All right, we will put that in the show notes along with the main home page. You’re still doing the podcast, right? I’ll make sure to link that up as well. Sean, appreciate it. We might have to have you back so you can share some more of your adventures with us. Sean D’Souza: I’d be more than happy to. It’s been a privilege speaking to you. Brian Clark: Thanks, Sean. All right, everyone, you heard it. If you’re really looking at your freelance business or entrepreneurism as a driving force for a great life, as opposed to the other way around where the business is driving you into the ground, you’ve got to take a step back. Sean’s approach is one way to do this, but it’s really up to you and what you want. Never let anyone tell you otherwise, because you might as well just go get a job at that point. Anyway, think about it. Thanks for listening, and as always, keep going.